Although the improvements made to smartphone cameras over the last few years has enabled anyone and everyone to try their hand at becoming a photographer / director, this wealth of technology in the hands of amateurs can, and often does, produce disastrous results. One of my pet peeves when watching videos recorded by said amateurs is their inability to tilt the orientation to landscape when filming. The result is huge, unsightly letter-boxing, and even if the footage is good, it has been forever tainted in the hands of a noob. 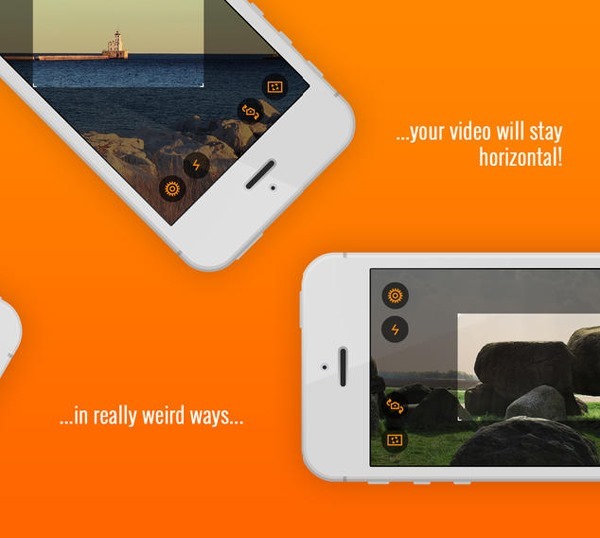 Luckily, there’s a solution in the form of an app called Horizon which, as the name concedes, will ensure that your video is recorded properly even if you insist on holding your device upright while filming. 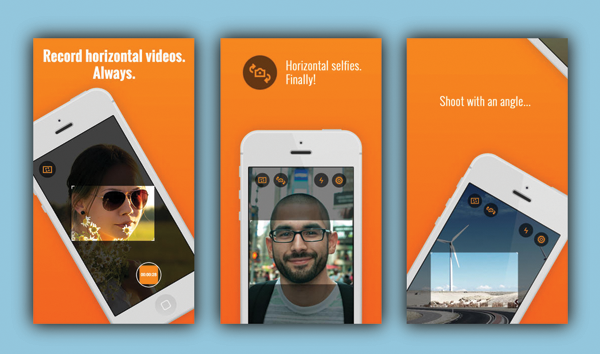 There really isn’t a situation that excuses portrait videos, and Horizon eradicates this problem entirely. Once you’ve downloaded and opened it, you can begin recording as you would with the stock app, but if you happen to switch your device to portrait, your video (as well as your eventual audience) will not have to suffer. Horizon works its magic using your device’s sensors – the same ones that enable you to quickly flit between portrait and landscape without having to press any kind of magic button. Still, while it will maintain your landscape orientation, it is advisable – for the sake of video quality – to try and hold your device still. Sure, this app will mean an end to portrait videos, but if you go waving it about while filming, you’ll learn all about iOS cameras’ lack of OIS. Another testament to the fact that Horizon’s features should not be abused is found in the fact that the video capture can sometimes lag when a device is shifted between orientations. It’s still a damned sight more ideal than not using Horizon at all and ending up with untidy / unwatchable portrait clips, but please bear this in mind before assuming that this app is foolproof. Horizon costs just 99 cents, and if everybody were to go ahead and download it right now, the world, as well as video-sharing sites like YouTube, would be a great deal better off.